North Park Lexus at Dominion, in San Antonio, Texas, had nearly $1 million in damage after a hailstorm struck the area on Saturday, according to NBC News Channel 4. The hail damaged more than 500 cars, including cracked windows and dented bodies. One image showed an imprint where hail broke through a vehicle's rear window. 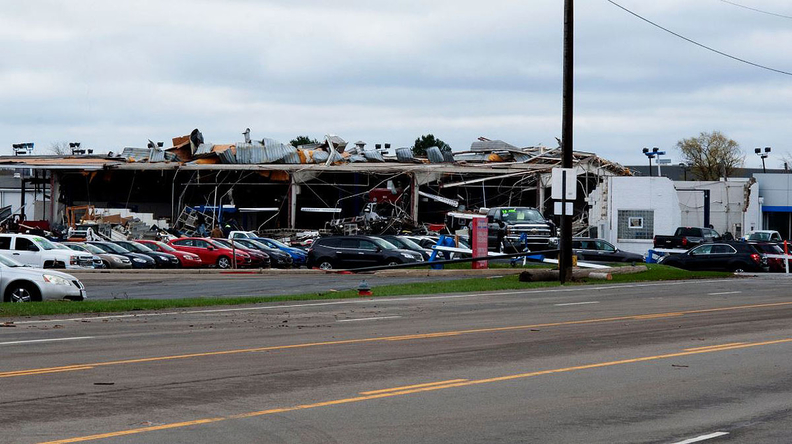 Two dealerships located about 90 miles southwest of Cleveland in Shelby, Ohio, suffered significant damage after a tornado touched down in the area Sunday.